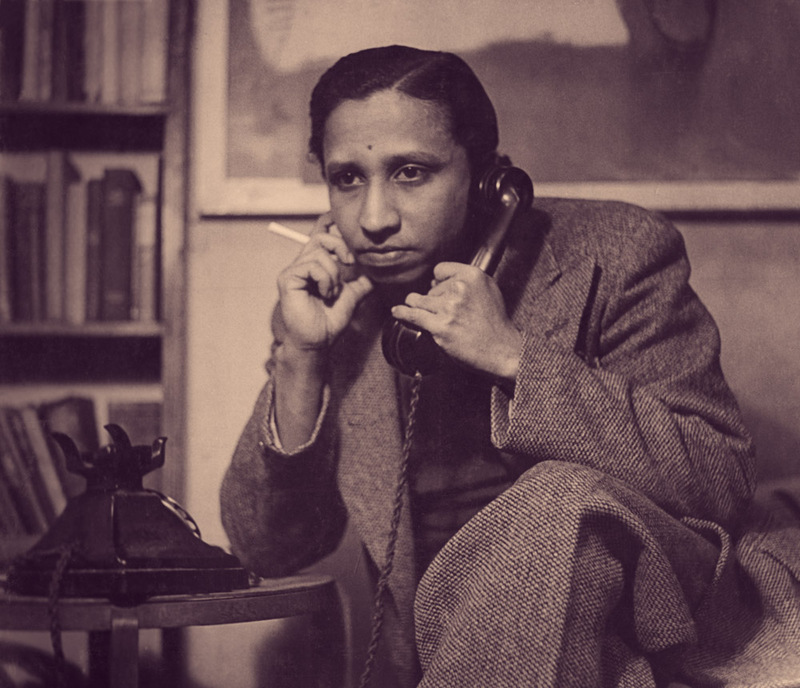 Some years ago in an article about Lester James Peries I wrote thus – ” If I were to pose the question “Mirror, mirror on the wall, who is the best Lankan filmmaker of them all?” to my personal magic mirror, the answer would be in three words – Lester James Peries! Though Sri Lanka has produced many brilliant film directors over the years – and I do enjoy their movies – I have always been of the firm opinion that the greatest director of Sinhala cinema is Lester James Peries. There was a time when my friends used to have fun at my expense by belittling Lester’s films as second-rate mediocre stuff. I would retort angrily and they would laugh gleefully. I have written many articles about Lester and his films and will continue to do so. This article however is a tribute to a man who is to me the greatest pioneeering director of Sinhala cinema. In a film making career spanning more than five decades Lester James Peries has made 20 feature films inclusive of ‘Pinhamy’ in 1980. The first of his feature films was the path-breaking ‘Rekava’ or line of destiny in 1956. His final feature was ‘Amma Waruney’ or an elegy to a mother released in 2006.Lester James Peries has also made 11 short films, most of them in documentary mode. The first of these short films was ‘Soliloquy’ made in 1949 and the last ‘Kandy Perahera’ filmed in 1973. Lester went to London in 1947 to join his brother Ivan a reputed painter. The brothers lived together for some years and apparently led a Bohemian way of life bordering on the avant garde.Lester wrote a column from Britain for the “Times of Ceylon” in Colombo then edited by Frank Moraes. It was titled “Letters on the Arts from England”. While working as correspondent of “Times of Ceylon”, Peries also engaged himself in making short films and documentaries. A short film, “Soliloquy” made in 1949 won an award for artistic and technical merit from the Institute of Amateur and Research Filmmakers of Great Britain in 1951.He also produced another award winner “Farewell to Childhood”. It was based on a short story he had written when in Sri Lanka but on film he adapted it to English surroundings. Associated with him at the GFU were cameraman Willie Blake and editor Titus Thotawatte. Yearning to create meaningful films the trio resigned from the GFU and embarked on the “Rekawa” venture. The trio broke up later, with Blake migrating to Canada and Thotawatte becoming a film director in his own right. Thereafter Peries worked with a number of different artistes and technical personnel in different pictures without being tied down to a particular team for long. Analogies have often been drawn between the South Asian contemporaries Satyajit Ray of India and Lester James Peries of Sri Lanka. India’s greatest film maker Satyajit Ray had burst upon the global film scene before Lester James Peries. Ray’s ‘Pather Panchali’ was made in 1955 and ‘Aparajito’ in 1956. Since Lester’s Rekava was released in December 1956 many reviewers wrongly assumed that Ray had inspired Peries. Satyajit Ray himself considered Lester to be of the same mould as him and once referred to the Sri Lankan director as his “closest relative East of the Suez.” In spite of the creative affinity between the two, Peries was not influenced by Ray when he made his first film. Renowned writer and scholar, Regi Siriwardena once told me in an interview that Lester had not seen ‘Pathar Panchali’ or ‘Aparajito’ when he first made ‘Rekava’. Regi, who has worked as scriptwriter with Peries on some films, told this writer that the first Ray film viewed by Lester was ‘Aparajito’ and that too was only after ‘Rekava’ was made. “It is a classic instance of two great Asian directors being of the same creative wavelength and proceeding on a parallel course independent of each other,” stated Siriwardena then. What then inspired Lester James Peries to quit the Government Film Unit along with colleagues Willie Blake (cinematographer) and Titus Thotawatte (Editor) and embark upon the venture to make an authentic and realistic Sinhala film? Three film factors deeply influenced and motivated Lester in this yearning to make a realistic film amidst a rural setting. Firstly there was the semi-fictional documentary ‘Nelungama’ made by Lester’s boss at the GFU Ralph Keene. Lester had co-written the script and the dialogues for it. While filming, Lester was exposed to village life and longed to make a film in a rural environment. Secondly was the impact of Italian neo-realistic cinema, particularly the films of Vittorio de Sica, Luchino Visconti and Roberto Rossellini. Thirdly was the film ‘Do Bigha Zameen’ (Two acres of land) by Indian Director Bimal Roy that brought rural life to the screen in a realistic manner. Lester’s films capture emotions and moods vividly on screen. These expressions are two-fold in the sense that they consist of clearly articulated or manifested emotions on the one hand and also of unarticulated, underlying feelings on the other. Complex relationships, poignant moods, tense undercurrents, etc. are portrayed in auteuristic style that is simple and comprehensible. What is outstanding in his films is the underlying humanism. Though a citizen of the world with a cosmopolitan background, Lester succeeded greatly in portraying the existential realities and nuances of rural Sri Lanka and its ontological veneer. Lester excelled in transforming on celluloid popular novels and short stories. He also experimented with psychological topics that had not been dealt with before on the Sinhala screen. The nature of his films have been described as the “cinema of contemplation” and his narration the “language of silence” by film writer connoisseurs. Though he filmed several novels, Lester was able to break away from the bondages imposed by strictures of literature and the stage. Economy of dialogue was a hallmark in most of his films. His narrative style blended cinematic images into the story with telling effect. There are long gaps of silence between dialogue. It is said that Lester had a shooting script but deviated from it as the film was being shot. He improvised with innovative spontaneity as shooting proceeded. After “Rekawa” in 1956 , Peries made “Sandesaya” (Message) in 1960, a historic drama set against the Portuguese conquest of the Island. Then came “Gamperaliya” (Village Upheaval) in 1964 that made its mark in the Third International film festival in New Delhi by winning the Golden Peacock award. This was the first time a Sinhala film had won an international award. Gamperaliya also won the Golden head of Palenque award in Mexico. Lester had placed Sri Lanka then known as Ceylon on the Global Cinema Map. Gamperaliya was the first of a trilogy based on novels by the late Martin Wickremasinghe, a Sinhala literary colossus. The others were “Kaliyugaya” (Era of Kali or Kaliyug) and “Yuganthaya” (End of an era). The three films made after long intervals of time depicted on celluloid the collapse of the old order and the emergence of the new. Together they comprise an epic of transition portraying vividly on screen the struggle between a dying world and another struggling to be born. “Gamperaliya” was produced by Anton Wickremasinghe with Lester James Peries and Sumitra Gunawardene as co-producers.While Lester directed, Sumitra edited the film. Lester and Sumitra married in 1964.Their’s has been a praiseworthy professional and personal partnership since then. Sumitra edited many of Lester’s films in the early years.Later Sumitra ventured into film directing herself and made her mark as one of Sri Lanka’s finest directors in her own right. Lester collaborated with her on some films as producer and writer. Sumitra’s latest film “Vaishnavee” is based on a story written by Lester some 25 years ago. Sumithra blossomed into a successful film director who could portray feminine, but not necessarily feminist, issues sensitively on screen. She also served as Ambassador to France where her husband received the French Legion D’ Honour. Lester’s greatest movie however was “Nidhanaya”(Treasure) made in 1970. Based on a novelette by G. B. Senanayake, it won the Royal Lion award at the Venice film festival. It is also included in the global list of 100 best films to be ever made that was compiled by the Cinematic Institute of France to mark the World Film centenary. Nidhanaya also won the award at Sri Lanka’s Golden Jubilee of Independence for being the best Sinhala movie in 50 years. It also won critical acclaim as one of the ten top Asian films for all time. Though a citizen of the world with a cosmopolitan background, he succeeded greatly in portraying the existential realities and nuances of rural Sri Lanka and its ontological veneer. Some of his milestones include “Delovak Athara” (Between Two Worlds), “Golu Hadawatha” (Silent Longing) “Ran Salu” (Golden Robe), “Akkara Paha” (Five Acres) “Ahasin Polowata” (From Sky To Earth) and “Beddagama” (Village In The Jungle). The only English film made by Peries was “God King”, a Sri Lankan-German co-production. With a blend of foreign and local artistes, the film was shot in Sri Lanka. The story revolved around a Sinhala monarch Kassyap who built the Lion Fortress- palace rendered famous by its frescoes on Mount Sigiriya. The stipulations of a foreign-funded movie restricted Peiris’s creative control and cramped his style severely. The result was quite visible in the finished product which was not one of the director’s best work. From Rekawa in 1956 to “Ammawarune” in 2006 the auteur has left his celluloid imprint through 20 films in a productive career that has topped half a century in years. Rekava’ (Line of Destiny), ‘Gamperaliya’ (Changes in the Village) and ‘Nidhanaya’ (Treasure) are widely accepted as the three finest films made by Lester James Peries. I have seen all three films and they are certainly path-breaking masterpieces of cinema. However the film that I liked (and still like) most among Lester’s creations is ‘Golu Hadawatha’ (Silence of the Heart). Evocative of Akiro Kurosawa’s ‘Rashomon,’ the story of Golu Hadawatha too was told in flashback sequence with the two chief protagonists narrating their version of events. There were two specific reasons which endeared ‘Golu Hadawatha’ to me.Firstly ‘Golu Hadawatha’ was the first Lester-directed film that I saw. It was after seeing this film that I saw Lester’s earlier movies on re-runs at provincial or suburban theatres or at benefit shows in Colombo. ‘Rekava,’ ‘Sandesaya,’ ‘Gamperaliya,’ ‘Delovak Athara’ and ‘Ran Salu’ were all films I had seen during their re-runs after I had seen ‘Golu Hadawatha,’ which I saw during its first round of screening. Being the first Lester movie that I saw, ‘Silence of the Heart’ has a special place in my heart still. Secondly, the ‘Golu Hadawatha’ film story was one that I could easily comprehend and understand because the Sinhala screenplay had been translated into English and was serialised in the Sunday Observer. It was published along with still photographs of scenes. This helped me greatly to understand this film and relate to it. I told this once to Regi Siriwardena who had written the screenplay for the film and naturally, he was very pleased. It was my good fortune to be associated with Regi Siriwardena during the years 1985 to 1988 at the International Centre for Ethnic Studies (ICES) in Colombo. ‘Golu Hadawatha’ was adapted from a novel by Karunasena Jayalath. The music was composed by “Master” Premasiri Khemadasa. The Producer was P.E. Anthonypillai. Interestingly there was a song connected to ‘Golu Hadawatha’ that was very, very popular in those days. It was written by Karunasena Jayalath himself and sung by Indrani Wijebandara and Sisira Senaratne. The duet had the lines “Aadarei mama aadarei – Dhammi thavamath aadarei, Sugath thavamath aadarei”. But the song was not included in the film. ‘Golu Hadawatha’ was a romantic story and the fresh-faced couple Anula Karunathilake as Damayanthi Kariyawasam (Dhammi) and Wickrema Bogoda as Sugath Weerasekara (Sugath) made a huge impact. Anula as the vivacious “Dhammi” stole our hearts then. The nature of Lester’s films has been described as the “cinema of contemplation” and his narration the “language of silence” by connoisseurs.As a pioneer of authentic Sinhala cinema, the trail-blazing Lester has been inspiring two generations of film makers in the country. He has also introduced a number of artistes and technicians who went on to make a name for themselves. He has been on the jury of several international film festivals. Peries has also been conferred honorary doctorates by several institutions. In the year 2000, Lester was the recipient of the Lifetime Achievement Award at the 31st International Film Festival of India in New Delhi.It was fitting indeed that the doyen of Sri Lankan film directors was honoured so in New Delhi because it was that city which catapulted Peries to International fame in 1964 when his “Gamperaliya” received the Golden Peacock award for Best Film. 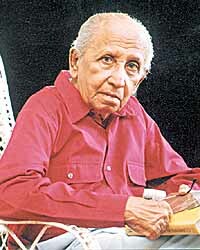 In 1997 at a ceremony held to mark the golden jubilee of Sri Lankan cinema, Lester James Peries was presented the Lifetime Achievement Award by then President Chandrika Kumaratunga. After the event in an interview given to veteran journalist Roshan Peiris, a visibly-moved Lester said: “I treasure this award a lot given for my contribution to the local film industry. It is a distinction that does make me feel that my film career has been worthwhile.” The Lifetime Achievement Award in what is probably the crowning glory of a hectic, eventful and productive life. Consensus is perhaps an elusively unattainable word in the Sri Lankan political lexicon. Mercifully, there are several things about which there is a national consensus cutting across race, religion, caste and creed. One such phenomenon would be in the appreciation of the creative genius of Sri Lanka’s foremost film director as a national treasure and icon.. Lester James Peries liberated Sinhala cinema and guided it to new vistas where the medium of film was understood and appreciated.It is widely acknowledged that Lester James Peries was indeed the pioneer who went off the beaten track and proved to be an inspiring beacon for those who followed him.